Late last year Universal Pictures Germany released Pokemon the Movie: Genesect and the Legend Awakened, otherwise known as Pokemon Der Film: Genesect und die wiedererwachte Legende, and Pokemon the Movie: Diancie and the Cocoon of Destruction, otherwise known as Pokemon Der Film: Diancie und der Kokon der Zerstörung, as two seperate Blu-ray releases within Germany and while this isn’t surprising the fact that they both feature an English Dub is surprising. That’s right; despite being released in Germany, with the intent for sale and distribution only in Germany, both Pokemon movies – which have yet to see a UK release on any format other than TV broadcast – have an English Dub alongside the German dub that’s included. Enlightened by this new information I decided to purchase both movies (from Amazon DE) and unbox them; of which you can find below! As it stands neither film has a UK release planned but if you are hoping to watch these films in High Definition (and in English) then these Blu-ray releases could be the only way to do it. 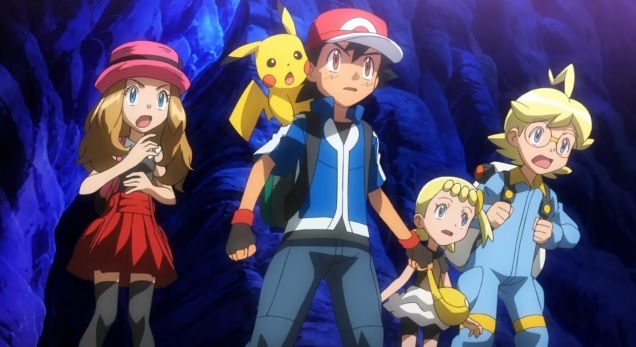 It’s also worth mentioning that Manga Entertainment UK have currently licensed Pokemon movies for UK distribution, starting with Pokemon the Movie: Hoopa and the Clash of Ages in October followed by the Original Pokemon Movie trilogy later in the year; so it’s possible that Manga UK could release these films within the UK.